FLOWER PETAL BEADS WILL BE MADE FROM YOUR FLOWERS. 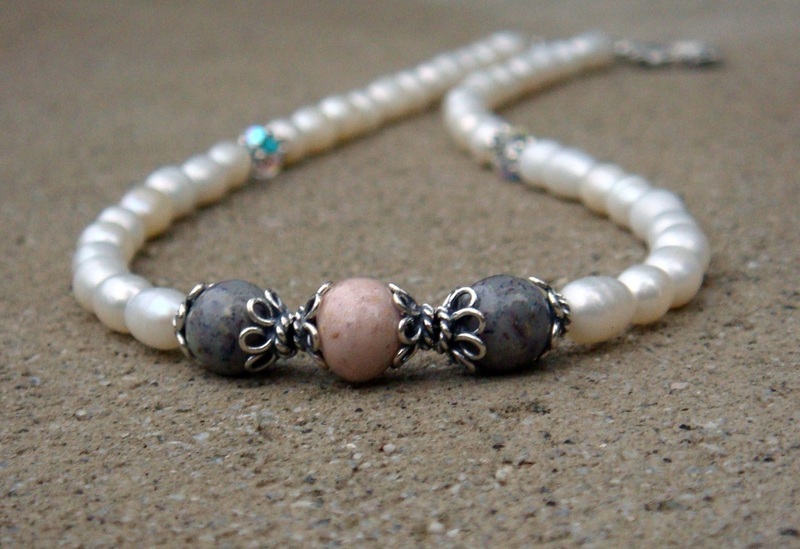 Rose beads or flower beads are the centerpiece of this freshwater pearl necklace. Bali bead caps highlight each floral keepsake bead. Swarovski crystals add sparkle to this elegant necklace. All findings are sterling silver. Materials: Handmade floral keepsake beads, freshwater pearls, sterling silver Bali bead caps, sterling silver findings, Swarovski crystals.